This forum is open to all members of the public, not just to those registered for the AESC. We encourage you to pre-purchase your ticket by clicking the link below. We encourage you to pre-purchase your ticket by clicking the link below. Limited tickets will be available on the door and seating is unallocated. <click here> Please note this link is for members of the public only who are not registering for the AESC. If you have registered or plan to register for the AESC you will be able to purchase your tickets as part of your registration. Ms Rachel Connell, Director, Office of Coal Seam Gas, NSW Trade & Investment. The forum will take the format of the popular ABC TV programme, Q&A. Geologist and Broadcaster and President of the Royal Scottish Geographical Society; Prof.
Agency and Tony Irwin, Technical Director SMR Nuclear Technology. An abundance of relatively cheap energy has been the critical support component of the quality lifestyle we enjoy in Australia – it powers the cars we drive, the appliances we use in our homes, and the industry we rely on for creature comforts and wealth creation. Most of this energy comes from fossil fuels; For example, coal accounts for over half of Australia's domestic energy production; ~90% of NSW electricity comes from coal. But fossil fuel resources (oil, gas, coal) come at a cost to the local environment and probably to the global climate. Moreover, we live on a finite planet, so the shift from the industrial era to the sustainability era must come, if we are to maintain our lifestyles through the 21st century and beyond. Alternative renewable sources of energy are available, but many of these have their own limitations in terms of capacity, environmental effects, and high production costs. At present they represent less than 5% of our energy production. Moreover, the impacts of energy production, particularly coal mining, are strongly felt by local communities when mines encroach on urban areas and valuable agricultural land. Thus, the key themes are the future of energy resources in Australia, and the social impact of our transition to a secure renewable energy future. These are key national issues and will increasingly become global issues. So, what does the future hold for Australia? What are the best resources/alternatives to secure a reliable energy future and what are their environmental effects? Are alternatives really viable and what are the implications of transitioning society into the 'sustainable era'? 'Energy 2050' will consist of presentations by speakers who have intimate knowledge of their respective industries, or have a vision of where we need to be in 2050. The Hunter region with its capital Newcastle, has been coined the 'Energy Hub of Australia', reflecting its high rates of energy production and ongoing potential underpinned by vast reserves of coal and coal seam gas (CSG). But it is also where coal mining intensification and CSG exploration impinges on an ever-expanding urban zone and critical agricultural clusters, including the equine and viticulture industries. Conflicting land use issues are probably more strongly focused here than any other region of Australia. The competing land use issues have created a high level of community uncertainty and concern centred upon environmental and water resource impacts. In response, the Australian and NSW Governments have introduced tough new regulations, which will change the way coal mining and CSG exploration take place in NSW for the next 20 years. 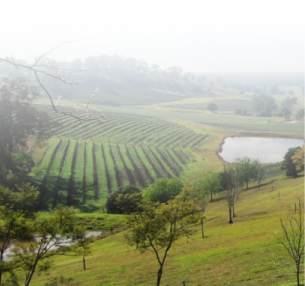 Partly in response to these regional imperatives, the University of Newcastle has launched a long-term whole-university research project focussed on achieving the balanced social, environmental and economic transitions required in the Hunter region during the next two decades. These are the key issues to be discussed at the 2050 forum. Cancellations: must be notified in writing to the Secretariat, any cancellations received after 16th June will not receive a refund.